Because the holidays are about to descend upon us like an avalanche that we hope doesn’t crush us on its way through, before we get all wrapped up in our meals and our plans and our preparations and our who knows what all else—let’s chat a sec. Because friends, the holidays can be FRAUGHT. Like, ridiculously so. Like I was saying, FRAUGHT. Either you’re getting together with family members and are about to revert to a second-grade level of conflict resolution, because that is what you have practiced together for the last *cough* number of decades *cough*. Or else you’re practicing your fake smile now, because you are planning to fake-smile it all day long no matter WHAT Uncle Bob says over pie. Or you’re about to put on an Oscar-worthy performance as Professional Turkey Chef and Host Extraordinaire, all the while cursing under your breath because the green beans are mushy but the turkey isn’t cooked through, something’s wrong with the gravy, and also who invented a holiday where we have to COOK? Why couldn’t we celebrate by SLEEPING IN? Someone start a petition for THAT national holiday, please. Or maybe you aren’t going to be with the people you wish you could be with at all. Maybe you feel like you have to pretend to be okay when you just straight-up aren’t. Or maybe it’s not as hard as all that, but really, even the easy things are hard, and you feel like you’re supposed to know how to DO THIS by now. You’re not the only one. Holidays are hard. Expectations collide with reality. All of our “family quirks” and unhealthy relationship patterns and the fact that we forgot to go to cooking school—all of that surfaces in one cornucopia of an afternoon, and it’s a lot. But this year, friends, we are going to be brave. Being brave around the holiday table means you listen for the still, small voice inside you; you tell the truth about who you are and what you need; and you leave space for everyone else to do that, too. Sometimes that means we nix traditions that aren’t serving us anymore. Sometimes it means we stop pretending everything is great when really everything is hard. Sometimes it means we disappoint people, because we’re changing things up, or we’re saying no, or we’re leaving early, or we’re not having that same conversation one more time Uncle Bob, thanks but no. If that is where you are—heading into a possibly-overwhelming holiday while trying to stay true to yourself—I want to offer you five strategies that might help. You don’t have to stay stuck in old patterns, old roles, or old habits that just don’t work anymore (or maybe never worked at all, honestly). Tell the truth about who you are. Change the story if you need to. A whole list of ways to do that, right here: 6 ways to tell a new story. Because I hate to tell you this, but no one else is going to be excited that you’re doing what you know you need to do. It is more convenient for everyone else if you stick to the script, if you stay in your nice, tidy little box, if you do things the way they’ve always been done, if you pretend and perform and do not question anything at all. And yet… that’s not your job. Your job is to show up as your whole self and to do the next right thing. Need help figuring out your next right thing? Try this: The next right thing is trust. “If only” gives someone or something else the power to decide how you feel. You can’t control whether that “if only” thing happens, but you are in charge of how you’re going to show up where you are, here and now. More on the truth about if-only thinking. If part of what makes the holidays hard is that you know Aunt Marge is going to tell you that you should really [and here she will fill in her latest plans for improving your life], I have great news! You have some options here. And if you’re saying “I should really…” to yourself, maybe swap that out for “I am going to…” Then just make sure to follow up with “do the next right thing,” instead of any of your less-awesome options. More on dealing with shoulds: What “you should” really means. Remember what you really need: serenity to accept the things you cannot change, courage to change the things you can, and wisdom to know the difference. The things you cannot change include but are not limited to everyone else and how they behave, the weather, and the fact that the pie is already burnt a little bit around the edges. Things you CAN change: Your boundaries, and whether you honor them. Your well-being, and whether you prioritize it. How you celebrate. How you respond. How you speak to the people around you. What conversations you’re willing to have. Whether you approach your holidays from a place of love or from a place of fear. Need more? Try this: All the things I cannot change. You can do this, brave one. 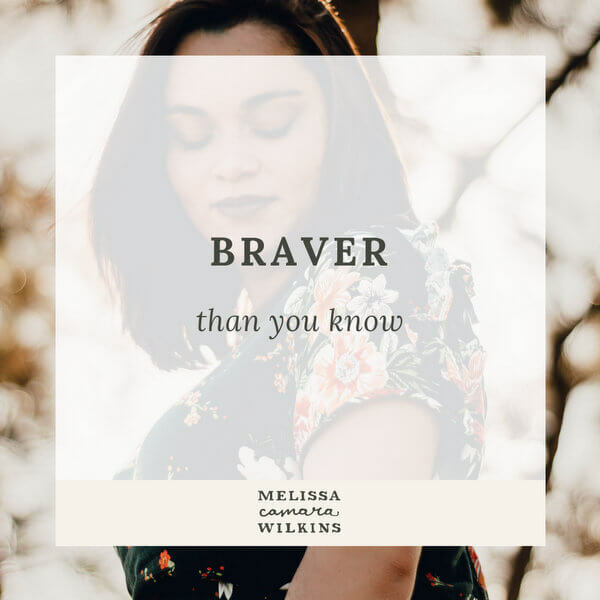 (You’re braver than you know. I promise.) Now go, have a holiday. We can commiserate on the other side.